If you missed NXT Takeover Chicago, you missed out on a crazy match between Ricochet and Velveteen Dream. I have said on more than one occasion that this was one of the matches that I was invested in and it lived up to all expectations. Ricochet won the match, but there is no way this feud can be over with. 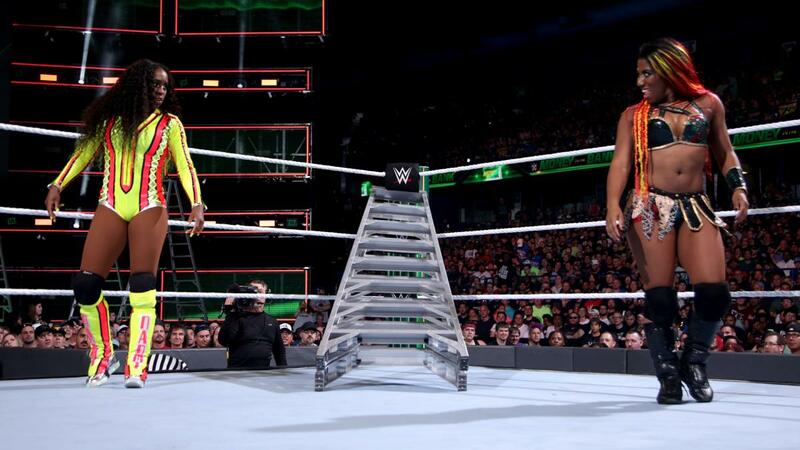 We saw Ember Moon and Naomi square off in the Money in the Bank ladder match. Even to the point that the Bella Twins said they wanted to see a match between the two. I tweeted that I did not think the feud would be that great but a match between these two superstars would be great. Maybe we will see them square off again in the Survivor Series. 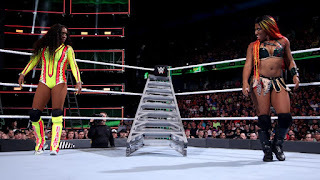 Kofi Kingston was selected to represent The New Day in the men's Money in the Bank match. Of course, he had a few cool spots, but that was it. Annual 'cool Kofi Kingston spot'. Finally, Bobby Lashley shut Sami Zayn up with a victory at Money in the Bank. Bobby Lashley would then go on to Monday Night Raw and throw his name in the hate for Brock Lesnar's next opponent. Next week, there will be a multi-man match to determine the number one contender for the WWE Universal Title. After losing to the Riott Squad, Sasha Banks and Bayley fought backstage. It looks like the rivalry is back on. SLOW BUILD FOLKS!